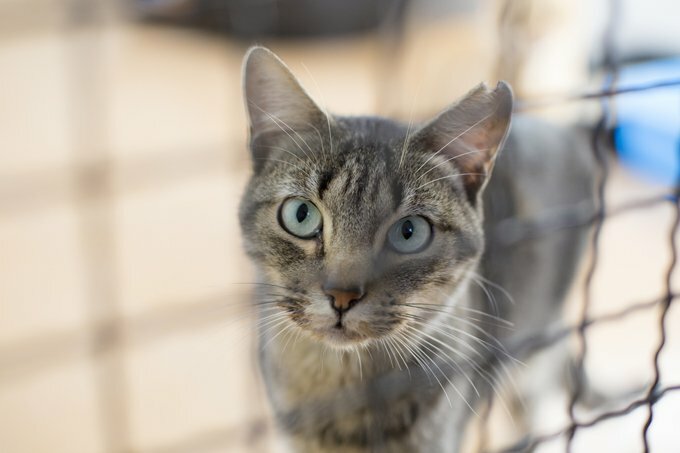 Every spring at shelters all across the country, thousands of pregnant cats and newborn kittens fill the cages and kennels. It seems that as the weather warms, a feline frenzy begins, which is why spring is often called “kitten season” in the animal rescue community. But this June, celebrate Adopt-A-Cat Month (sometimes called “Adopt-A-Shelter-Cat-Month”) by adding a new furry feline friend to your family. Cats make fabulous companions; after all, there is a reason they are the most popular type of pet in the world, outnumbering dogs by nearly three to one. Whether it’s a spunky young kitten or a mellow and cuddly adult cat, chances are your local pet shelter, small rescue organization, or animal control facility has a wonderful cat — or two — for you. Before you head out and sign the adoption papers, the American Humane Association (AHA), encourages you to keep a few things in mind. Make sure everyone in your household is ready to welcome a new four-legged family member, and that includes discussing how to make your cat as comfortable as possible during the transition period and cat-proofing your home. Prepare ahead of time by contacting a veterinarian, purchasing the necessary cat or kitten supplies, and making a budget for both the short-term and long-term costs of adding a cat to your clan. Work with your local shelter’s knowledgeable staff to help pick a cat that matches your personality and lifestyle. And finally, remember that all cats require attention, affection, mental stimulation, and plenty of exercise to be happy, healthy pets. The AHA advises that in some circumstances, it might be best to adopt two cats together to keep each other company. It’s best to consult with an animal rescue professional when making the decision to add two feline friends to your family. If you aren’t in the market to adopt a cat or kitten right now, there are still plenty of ways for you to help this Adopt-A-Cat Month. Tell your family, friends, and neighbors about the plight of homeless cats in shelters and encourage them to get involved. Take to social media and spread the word about adoptable cats and kittens in your community shelters. Head on over to your nearest pet shelter or rescue and see if they need any supply or fund donations to help them care for the new kittens coming in. And finally, be a champion for spay/neuter programs in your neck of the woods to help curb the cat population and reduce the number of unwanted pets in your community.